The Bianca Provola is a cheese made from cow’s milk, with a manual process and ready for consumption after a few days of curing. 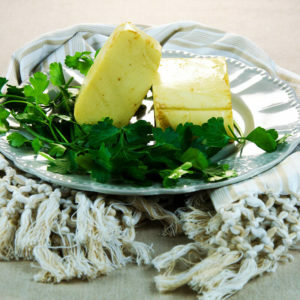 It has a wonderful characteristic taste, it is kept in the fridge and can be consumed as a dominant ingredient in your sandwiches or your favorite dishes such as omelettes or lasagna. 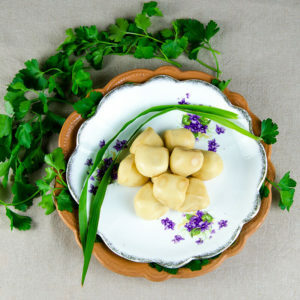 The Bianca Provola Smoked is a cheese made from cow’s milk, with a manual process and a natural smoking. Ready for consumption after a few days of curing. 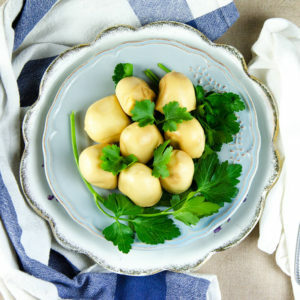 It has a wonderful characteristic taste, it is kept in the fridge and can be consumed as a dominant ingredient in your sandwiches or your favorite dishes such as omelettes or lasagna. Ingredients: Cow MILK, salt, rennet, lactic cultures, natural smoked. 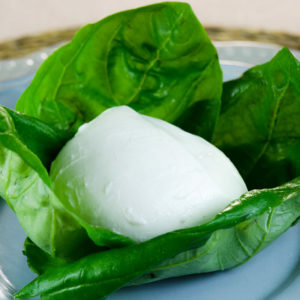 The burrata is an elaborate cheese, made from cow's milk, and with a traditional manual process. Ingredients: Cow MILK, salt, rennet, lactic cultures, cream. 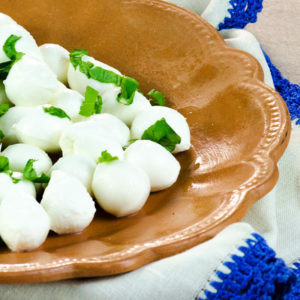 The Mozzarella Fior di Latte is a very pleasant classic cheese made from cow’s milk. It has an delicious taste and nice consistency on the palate. It is a real pleasure to enjoy eating, it must be kept in the fridge, in its own maintenance liquid. 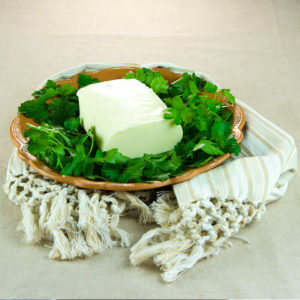 It is ideal to add an extra touch to your cold or hot dishes. 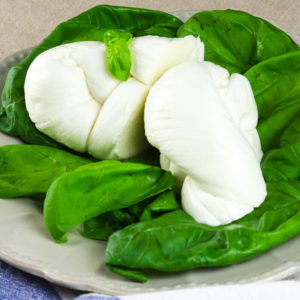 The Mozzarella Fior di Latte Bocconcino is a very pleasant classic cheese made from cow’s milk. Ideal as a starter or a main course. If should not be consumed too cold, leave a few minutes out of the fridge. 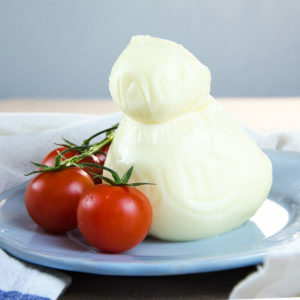 The Mozzarella Fior di Latte Bocconcino Smoked is a very pleasant new creation of cheese made from cow’s milk with a natural smoking process. Small size but great taste. It should not be consumed too cold, leave a few minutes out of the fridge. 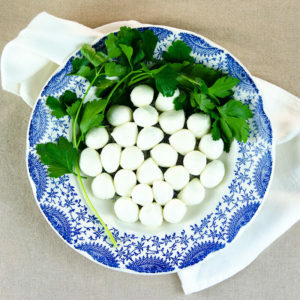 The Mozzarella Fior di Latte Ciliegina is a very pleasant classic cheese made from cow’s milk. 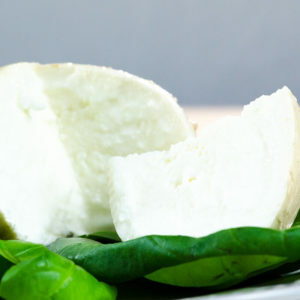 The Mozzarella Fior di Latte Ciliegina Smoked is a very pleasant new creation of cheese made from cow’s milk with a natural smoking process. The Mozzarella Fior di Latte Smoked is a very pleasant new creation of cheese made from cow's milk with a natural smoking process. The pizzariella is a spun-paste cheese made from cow’s milk. It has no crust, is soft and has a homogeneous and smooth surface. Excellent for the preparation of pizza, toast and lasagna, because it does not require dripping. Ideal for Pizzerias, restaurants and catering in general. It has a pleasant taste and must be kept in the fridge. The pizzariella smoked is a cheese made from cow’s milk, with a natural smoking. It has no crust, is soft and has a homogeneous and smooth surface. It has a pleasant intense taste and must be kept in the fridge. The Treccia Fior di Latte is a particular cheese with a characteristic braid shape, made from cow’s milk, with a manual process.